The Xiaomi Redmi 3 Pro, a slightly improved variation of the affordable Redmi 3. Design-wise, it's the same as the regular Redmi 3 though it doesn't seem to sport the interesting star-like pattern. Hardware-wise, there are pretty few differences. There is 1 more gigabyte of RAM added for good measure, as well as a fingerprint reader at the back, and that's pretty much it! 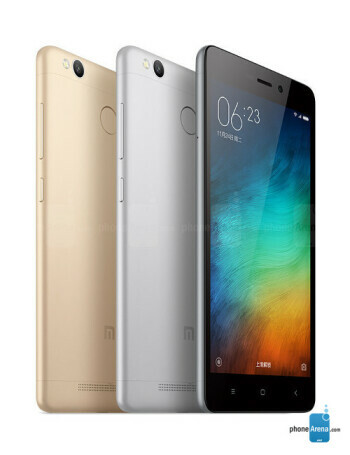 The Redmi 3 Pro arrives with the same 64-bit, octa-core Snapdragon 616 chipset, which has one cluster running of Cortex-A53 cores running at up to 1.5GHz and the other one at 1.2GHz max.